Aktif Neser | Antenna Magus 2019.0 has been released! Home > Haberler > Antenna Magus 2019.0 has been released! 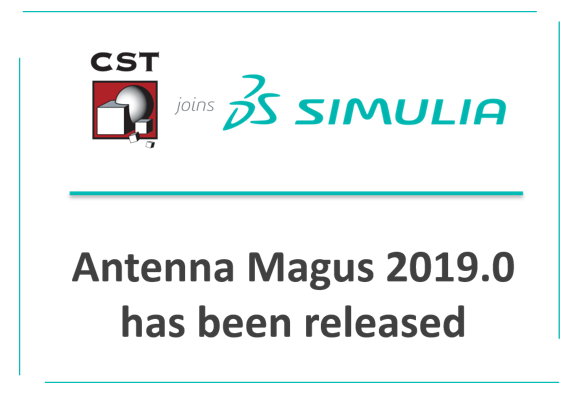 04 Ara Antenna Magus 2019.0 has been released! We are delighted to announce the latest major release of Antenna Magus. Version 2019.0 includes various features and improvements as well as a number of new antennas. More information about this release is available in this newsletter. Customers can download release version 2019.0 from the CST website. You will need your support account login details to access this page. Contact us for pricing and technical information! Dıscover the potentıal of Fılter Desıgner 3D! Antenna Magus 2018.2 has been released!